After what was pretty much a month long stop, the TTM train certainly is back up and running as I have posts in consecutive weeks! This time however, I didn’t even need to pay for it. 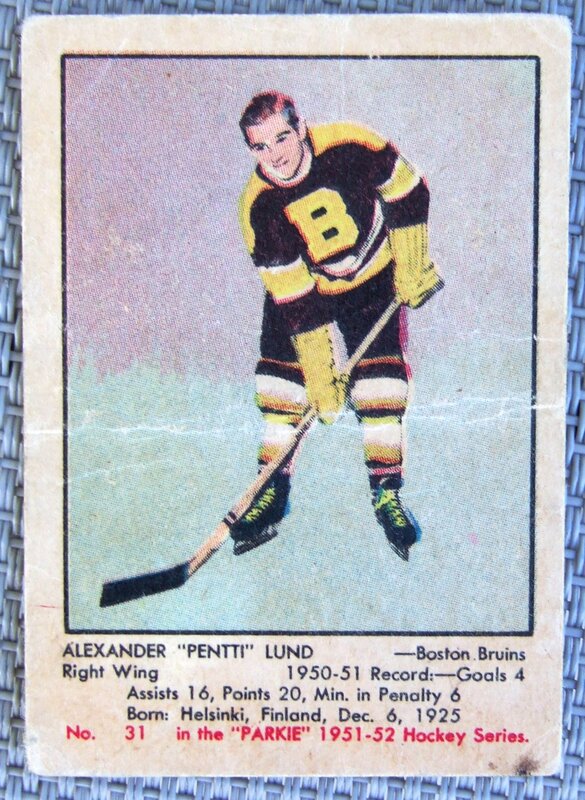 Pentti Lund is this week’s subject and for those of you who don’t know him, he was the NHL’s Rookie of the Year in 1949. Certainly not a name many are familiar with I am sure, and I think the only reason I may have heard of him is because he was “from” my hometown of Thunder Bay. Sure it wasn’t called Thunder Bay back then (technically Port Arthur which changed to TB in 1971), but I still consider him to be a hometown player. 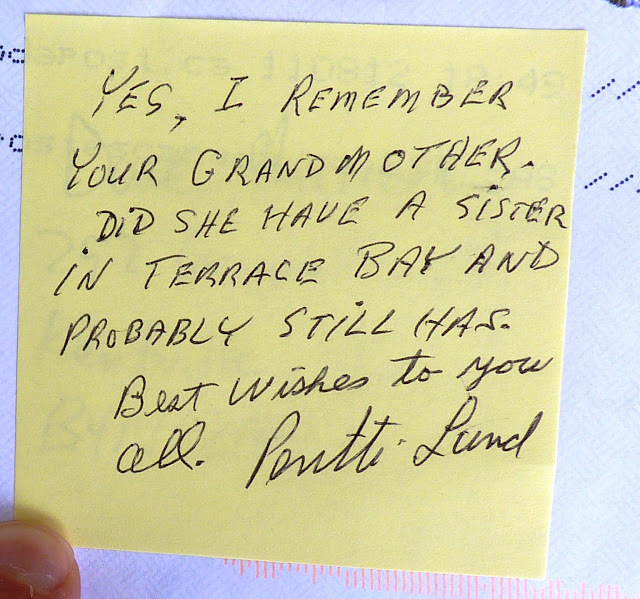 However, it should be pointed out that Pentti was actually born in Finland. So when he scored his first NHL goal; that made him the first Finnish player to score an NHL goal. He definitely was a trailblazer for many Finnish and European hockey players. 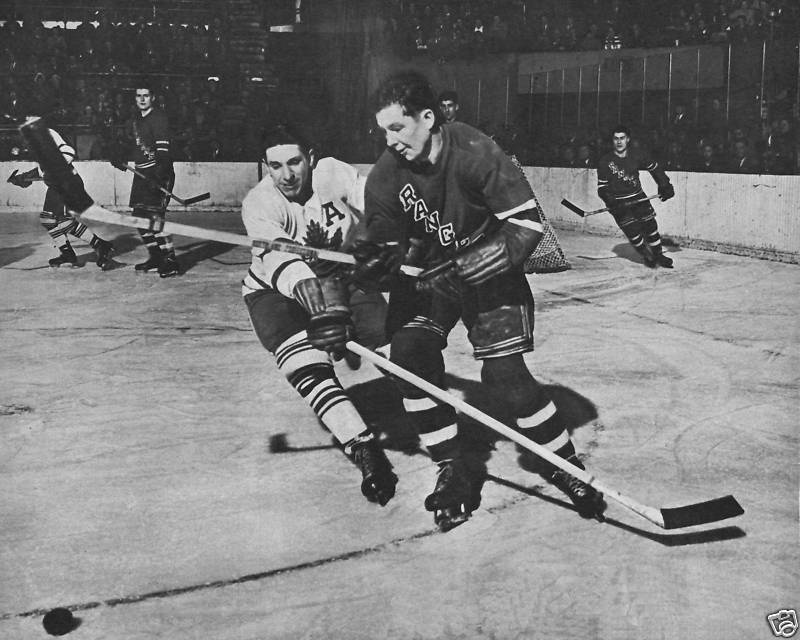 Pentti’s other major accomplishment was leading the 1950 Stanley Cup playoffs in scoring. 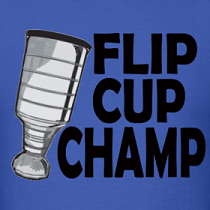 Unfortunately his NY Rangers lost in 7 games to the Red Wings, but certainly not based on the play of Mr. Lund. This is his 1951 Parkhurst rookie card. He only ever had one other card printed during his playing days and it was from the following season. 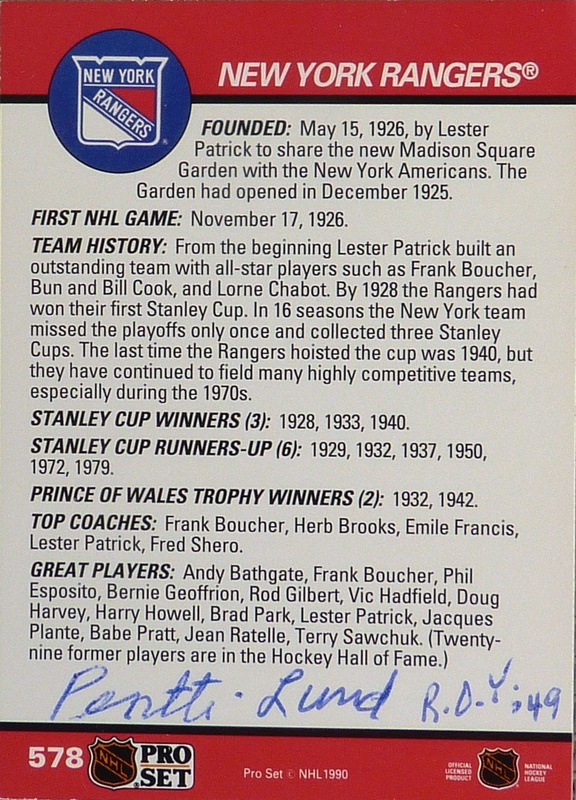 So rather than risk my own card of his, I decided to mail away a 1990 Pro Set card depicting the New York Rangers. As you can see his auto was done in ball point pen with the marking of his 1949 Rookie of the Year accomplishment. In all, it was an excellent return with sentimental value far exceeding any value someone can put on this card. 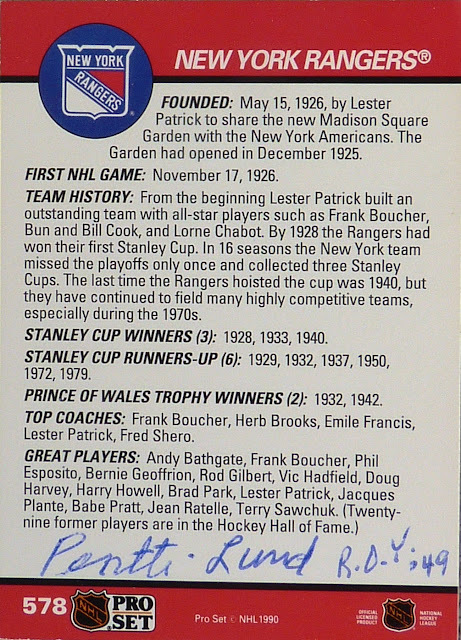 I am very happy to have this as part of my collection and I cherish this as much as my Bobby Hull and Gordie Howe autographs. Pentti was a good player who managed 44 goals and 99 points in 259 games before an eye injury in 1951 limited his NHL performance and ultimately forced him into the minors and an early retirement from hockey. Another great Wax Stain Story. Thanks guys, this is truly one of the coolest returns I have ever had. What took Pentti 30 seconds, I will remember for the next 30 years I am sure of it! Pentti is the KING !! !